What is Political Correctness/Cultural Marxism and why is it here? 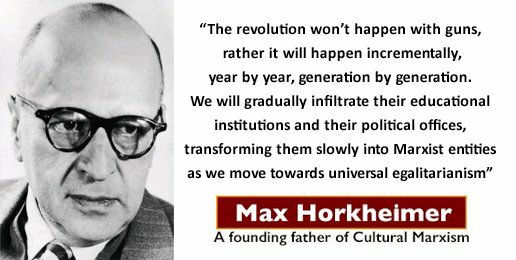 The above video can be found on You Tube and elsewhere under the name ‘The Architects of Western Decline – A Study on the Frankfurt School and Cultural Marxism’. It’s an excellent 29 minute documentary about political correctness, also known as cultural Marxism, and also mentions its Frankfurt School origins of the 1920’s and 30’s. The Frankfurt school started its life in Frankfurt in 1923 under the name of the Institute of Social Research. It was a Marxist-oriented research centre affiliated with the University of Frankfurt. Famous instigators and members include Carl Grünberg, Georg Lukács, Felix Weil, Max Horkheimer, Theodor W. Adorno, Erich Fromm, Herbert Marcuse and Jürgen Habermas. Antonio Gramsci and what most now describe as the quackery of Sigmund Freud were also big influences on the institute’s development. The video explains in a clear way how, after traditional Marxism-where the workers of the world were meant to unite against their employers-had failed, an even more sordid and deliberately subversive new movement was created in its place. 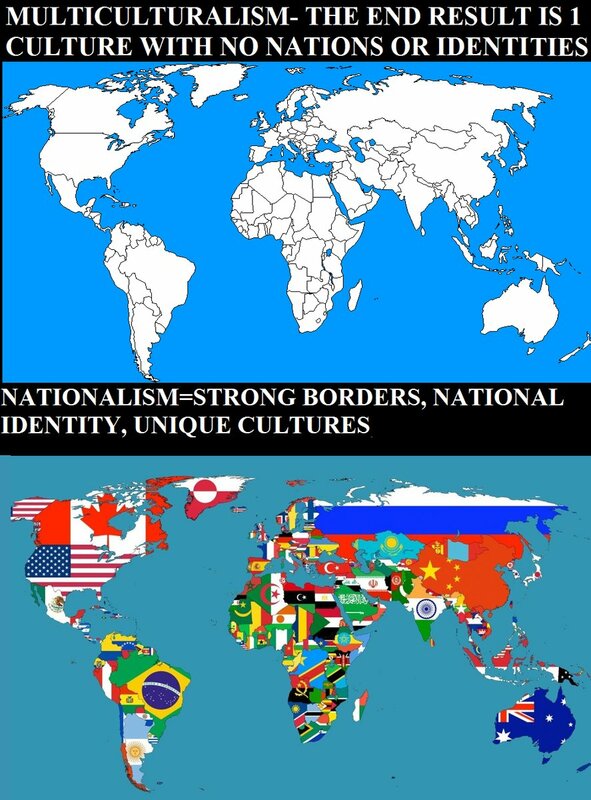 Those behind both movements were internationalist intelligentsia who’s aim was to deliberately eradicate Western values, social systems and the indigenous European racial group in a pre-emptive attempt to lay the ground ready for a global communistic/authoritarian revolution. 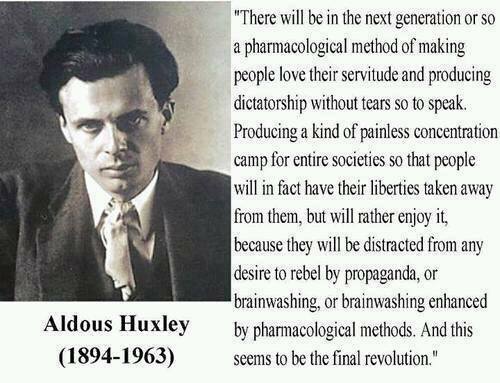 This would be part of a new order that would be run under a global corporate scientific and technological technocracy, as presented and incubated by Bertrand Russell, the Huxley brothers, the Tavistock Institute, Zbigniew Brzezinki and many others. During Hitler’s regime in the 1930’s, the institute and most of its prominent members moved to the USA and found a new home in Columbia University, New York. Once in the USA, its tentacles and influence spread to other Universities and also infiltrated the new civil rights and counter culture movements. The school’s thinking was that something else of significance needed to replace the working class as the vanguard of the previously failed global Marxist revolution so that a global revolution could be achieved. It was decided that that something else would be a coalition of all the minority groups who had various identities and agendas to push. 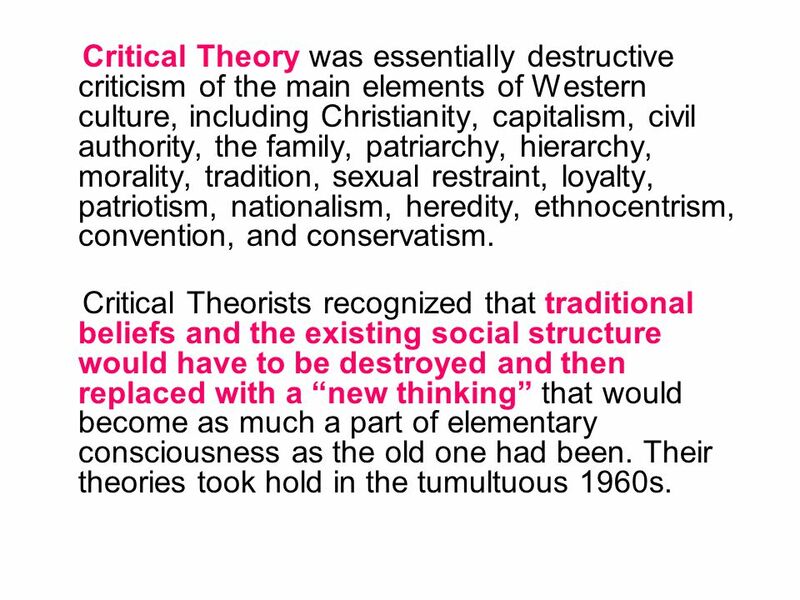 So all these social movements happening in the USA at the time especially – second wave feminism, gay rights, sexual liberation and the black power movement were appropriated and used as a means to an end to attack what the cultural Marxists believed to be the evil establishment. The evil establishment held in place, they deemed, by oppressive people of mostly European ancestry who largely believed in the American dream of a free society, free speech and the inherent rights of the individual protected under a written constitution. There was to be no more of the fight for equality of rights for all people under the law. Instead there was now to be special and different rights for some special groups based on their collective identity and wants . This deep bigotry and persecution of free speech and thought dressed as progressiveness has done its job in creating deep division. It’s an entrenched and ultra polarised stance that is designed to create chaos and division in society, undermining it and destablising it. And, by design, this extreme identity politics of the ultra far left has led to the creation of an equally angry and entrenched opposing side to face it – both extremities usually being funded and manipulated by the same financiers and their media cohorts playing the age old game of divide and rule for their own twisted chess game. The outcome is unlikely to be honest, rational and productive dialogue with pragmatic solutions that work for everyone except those that are deliberately playing the two sides against each other for their own gain. Those offering rational and productive dialogue and debate are usually treated worse by mainstream media than the extreme elements. Or, worse, ignored. Rationality is simply not tolerated in the Orwellian dystopia. But the subversive cultural Marxist philosophy is especially institutionalized and has by now taken over most of the universities in the USA as well as Britain and Europe. It increasingly controls Western intellectualism, politics, and culture in general. This can be seen by the rise of even more identity politics hysteria and progressive bigotry which, through censorship and intimidation, is increasingly attacking the free speech and free thought of the individual in Western society in an increasingly blatant way. Those pushing the cultural Marxist agenda, mostly but not exclusively well meaning young adults brainwashed and indoctrinated in to thinking goodness knows what, have no apparent concept of the fact that fighting against the rights of free speech and free thought for all is fighting against their own inherent rights to these crucial things as human beings. Turkeys voting for Christmas, horses galloping to the factory. And the agenda is being carried out today by attacking and undermining every aspect of the cultural, religious and patriotic values of western nations especially – all the moral and Christian values, the traditional family, the normal relationship between men and women and even the scientific fact of the male and female gender itself. The use of mass uncontrolled migration also exacerbates the psychological and sociological cluster bombing that is occurring by design. 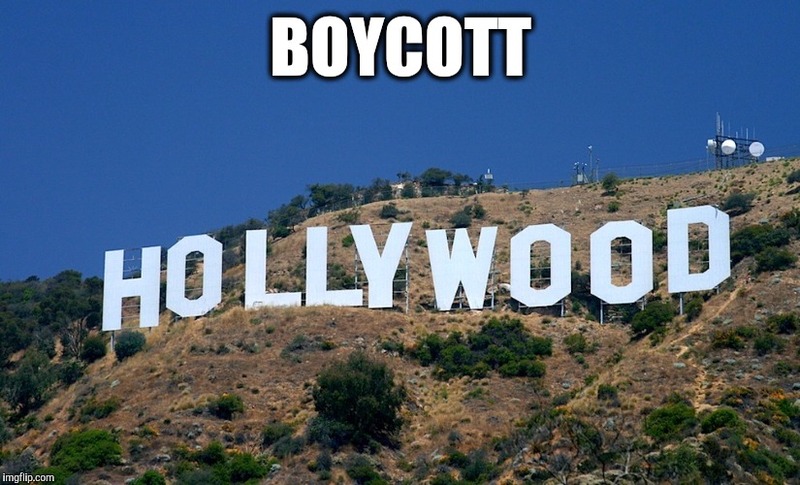 It’s also being done through the increased indoctrination of children and young people in our schools and colleges, through leadership training in public and public private partherships and beyond, and through the constant feeding of cultural narratives and new ‘norms’ in mainstream popular culture-in news, films, music, gaming, social media and television. Perhaps people have forgotten how simple it is to just switch things off and stop looking and listening at the things being constantly fed to us. It should be obvious to most that the agenda of political correctness has not simply developed organically of its own free will over time. It’s not something that needed to naturally evolve over thousands of years to reach its zenith in this day and age to remind people not to say bad things to each other and to be nice. The folk that were around in the days of Moses, Attila the Hun or Genghis Khan had all probably worked out the differences between pleasantness and unpleasantness in their own times. We can see by looking at history and at documented evidence, that political correctness is a deliberate, well coordinated and well planned weaponised attack on all of us. A deliberate and specific attack which has been mostly created and nurtured over the last century. This sustained attack is being released on all the people of the world to try and eventually control and subjugate all individuals and all nations through cultural means. It’s part of the bigger war to try to control and subjugate all individuals and all nations under a centralised new world order and globalist state. It’s highly sordid and highly intricate and has taken many many decades of incredibly patient, careful planning and conspiring. Most people at present will not believe or consider such a connected tapestry of well thought out conspiracies possible but, at some point, they will need to understand that it’s a real threat and not make believe. The answer to the threat is simple in its essence. The answer lies with the God given power of the individual to learn and discern and to think for himself or herself. And to reject tyranny in all its forms, to reject it, speak about it and fight it until it disappears like the morning dew.